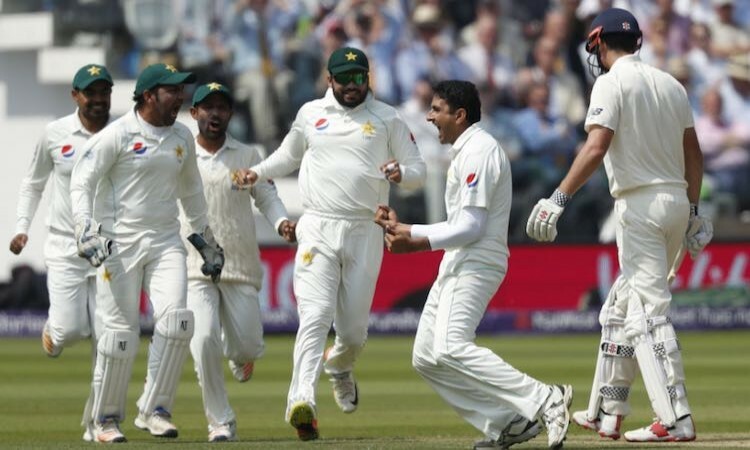 May 27 (CRICKETNMORE) - The unbroken seventh-wicket partnership of 125 runs between Jos Buttler and Dominic Bess helped England to survive an innings defeat by Pakistan in the first Test at Lord's on Saturday. The hosts finished the day on 235-6 with Buttler and debutant Bess unbeaten on 66 and 55 respectively – 56 runs ahead of Pakistan with four wickets remaining. Earlier, Pakistan added 13 to their overnight total before they were bowled out for 363, with Mark Wood having Abbas caught behind in the day’s fifth over.